Talcum powder is a great product which helps you to control excess moisture on your skin and keeps it oil free for hours. 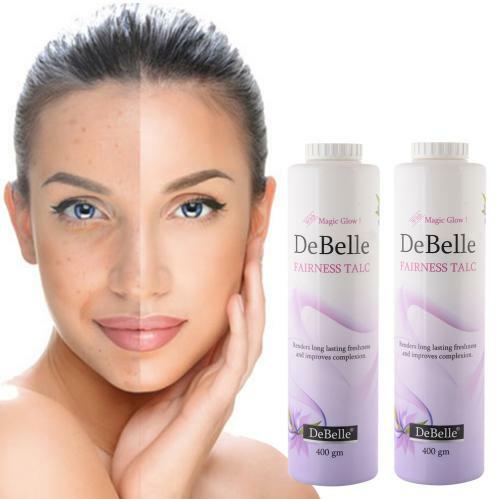 DeBelle Fairness Talc is a unique product enriched with pearl dust, that gives a radiant glow and even skin tone. Additionally, the turmeric oil serves as an anti-bacterial and anti-tanning agent while the menthol gives a soothing coolness. Use it regularly to get a bright, glowing ski! Get refreshed with a cooling sensation! 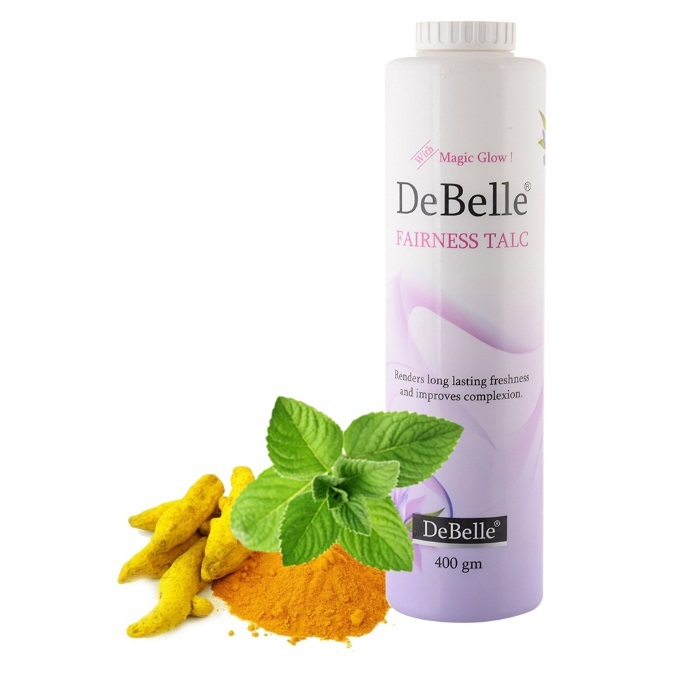 The DeBelle fairness talc has a soothing fragrance that keeps you refreshed throughout the day. The talcum powder has ingredients that improve complexion as it has anti-pigmentation and anti-tanning properties. 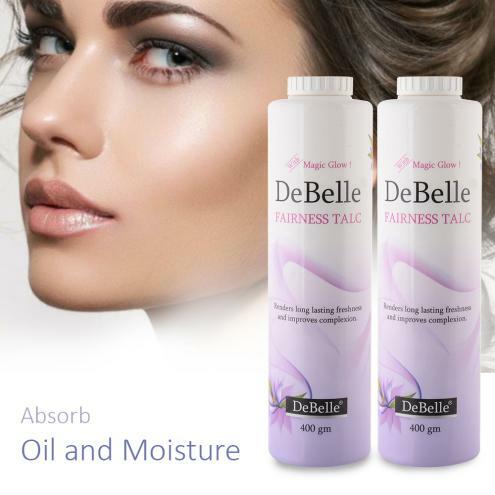 DeBelle Fairness Talc contains pearl dust that generates smooth and even skin tone. It enhances the brightening of skin and keeps you refreshed all day long. The menthol and turmeric oil are also present. They have effective antibacterial properties and also promote skin radiance. The powder is safe for all skin types. 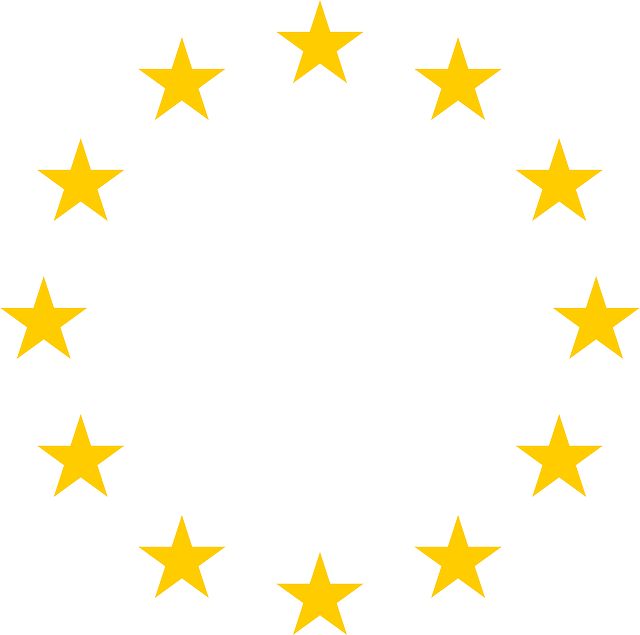 It is not reactive to any skin. Hence it is safe to apply to get a rich glowing look. 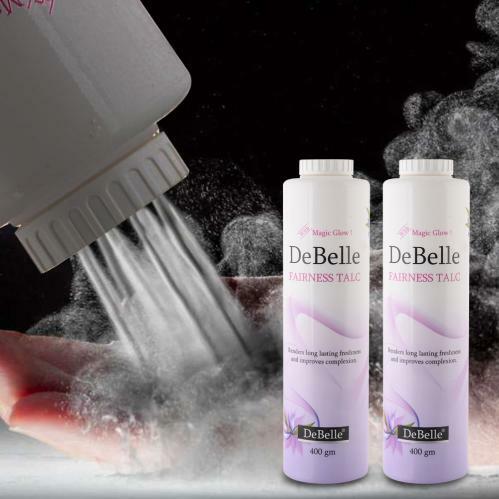 The DeBelle Fairness Talc comes in a convenient pack of 3. This combo pack will be a perfect pick for your skin pampering routine. Buy the combo by adding it to your cart. It has a nice mild fragrance which stays for long and absorbs oil from face and gives a clean, glowy and matte look. It also can be used as loose powder.